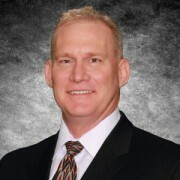 David McGough founded Digital Matrix Systems, Inc. and DMS Services, Inc. in 1982. Since then, he has gained extensive operations experience and a comprehensive understanding of the information technology industry, allowing him to grow the companies as software solution specialists in data aggregation, attribution and risk analysis. Under Mr. McGough’s direction, DMS has licensed more than 150,000 pieces of software and attracted more than 500 clients, including several financial services and insurance companies that rank within the top five of their industries. The company continues to expand its software and services offerings by integrating with new origination systems and incorporating new data sources. Mr. McGough has served on the boards of both public and private entities. He has a track record of success in value investing and venture capital investing. He earned an MBA from Southern Methodist University’s Cox School of Business in 1993. David Graves has been with DMS for 20 years. As a key company leader, he maintains a diverse set of responsibilities in all aspects of company operations. He works closely with all DMS managers, and works with internal teams on new product development efforts. 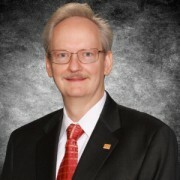 Early in his tenure at DMS, Mr. Graves served as vice president of the Decision Science Group, during which time he oversaw product development of numerous credit- and risk-based solutions in modeling and analytics. Prior to joining DMS, Mr. Graves worked for over 15 years in Product Development at key technology firms, including Electronic Data Systems and HP in their Financial Services divisions. He earned his bachelor’s degree from Sam Houston State University in Texas.